So I know these aren't technically elves but the Wood Elves from the land that was hung around with walking trees so why should it be any different in the mortal realms! Sorry, what's that... wanderers betrayal in Ghyran?.... surely that's water under the bridge now! 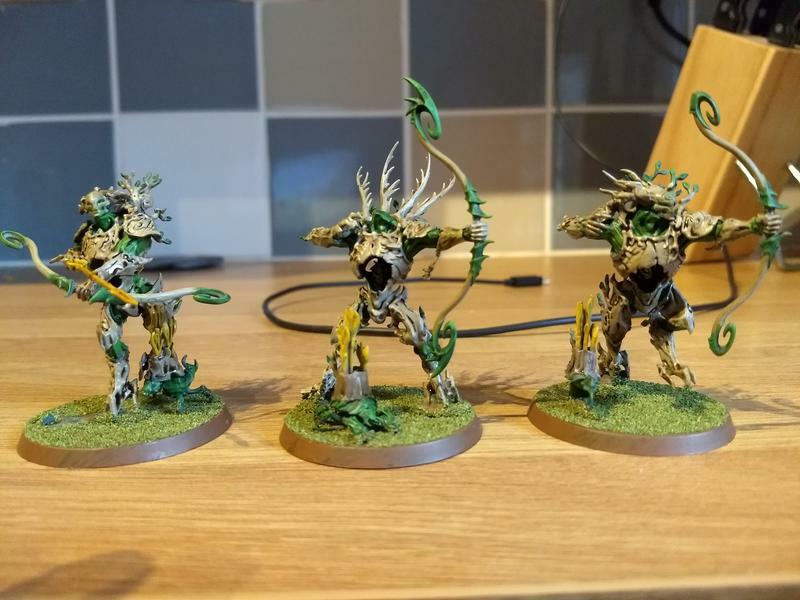 Anywho, here's my 3 kurnoth hunters, minus one head. We'll just say he's the unit champion for now until I source a replacement. For those that are wandering where the head has gone I've used it for my Avatar of the Hunt conversion which is currently in progress. For those that are interested I undercoated Abaddon black, basecoated the bark areas in Calthan Brown (old foundation paint) and the green "flesh" areas Orkhide shade (another old paint). Bark was then layered dessert yellow and finally ushabti bone before a wash of Aggrax Earthshade. 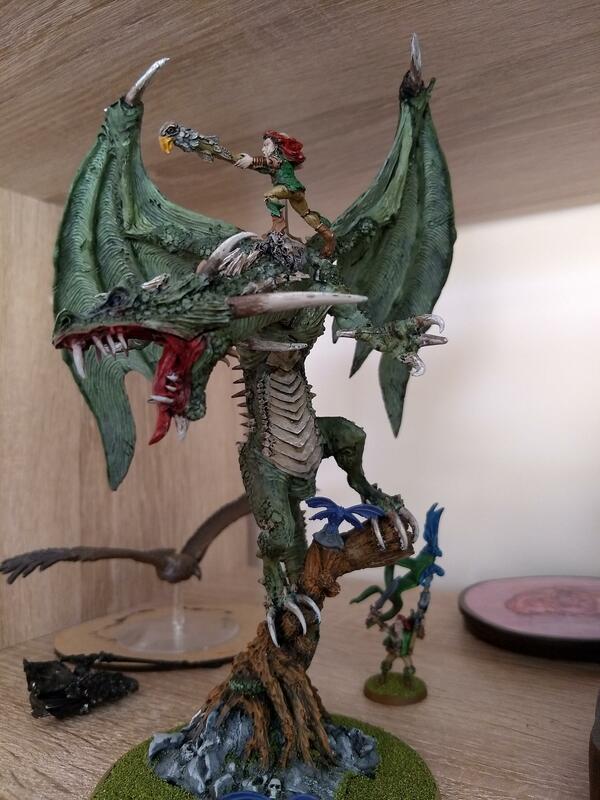 Green areas were layered with Warpstone glow and moot green before a wash of Athonian camoshade.